It's my first post in 2016 and I'm very happy to be back. I missed very much posting for you and showing my daily outfits. I hope you had nice holidays! Mine were really good. I visited Germany, Belgium and The Netherlands. In the next post I'm gonna show you some pictures and write about my experience in Amsterdam. For now I'll just say that I loved it and I'm definitely gonna visit it soon! After 3 weeks traveling and dressing up like a turist, I really missed my high heels and my parisian style. Since I came back, I'm wearing my "city coats" and some classic pieces that we all have in our closet: Black pants, high heels, etc. Today I'm gonna show you the first outfit of this year. It's very simple but elegant. 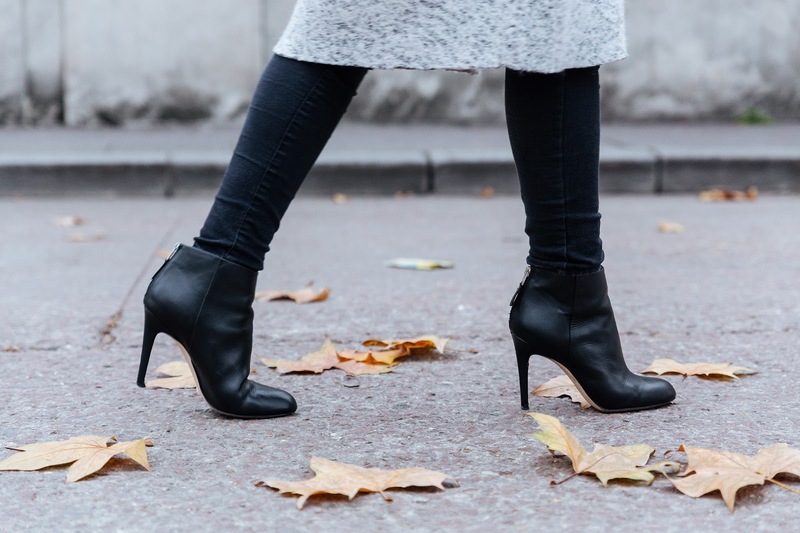 I combined black tight jeans and Sam Edelam high heel ankle booties (here) with Zara coat (which one is already sold, I think, because I could not find it on the website anymore). After carrying the backpack during all holidays, I decided to take my Chanel Boy out for a walk. Hope you'll like the outfit.